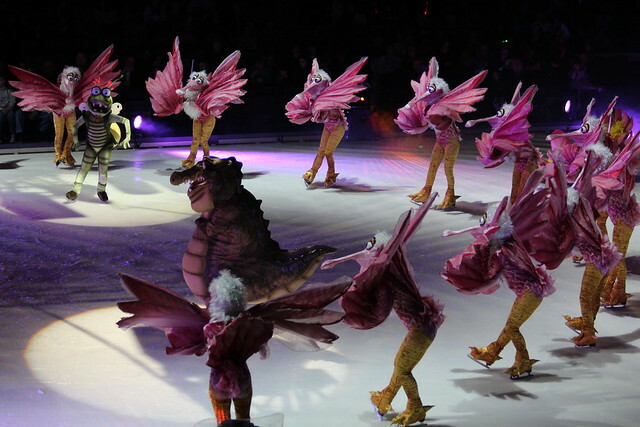 Looking for some great entertainment for the kids this school vacation week? 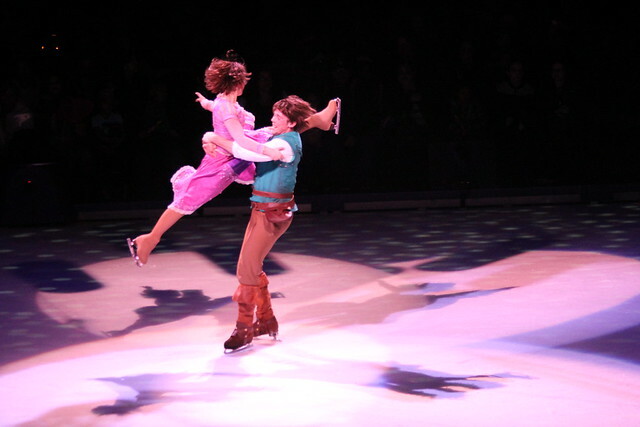 In the Boston area, check out Disney On Ice presents Dare To Dream featuring characters from Tangled. 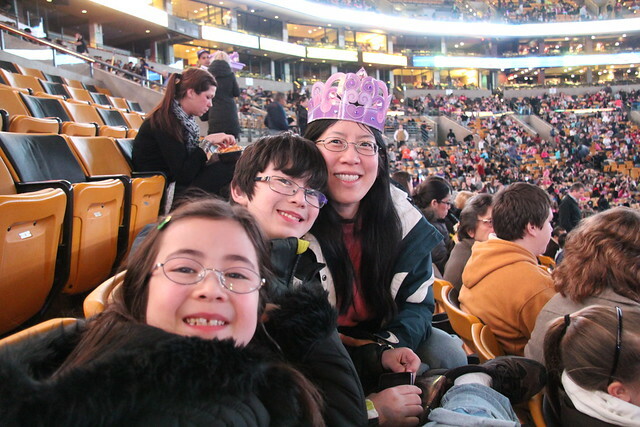 The show is runs from Friday, February 17 to Sunday February 26 at TD Garden in Boston. We had the opportunity to attend the spectacular event on opening night. 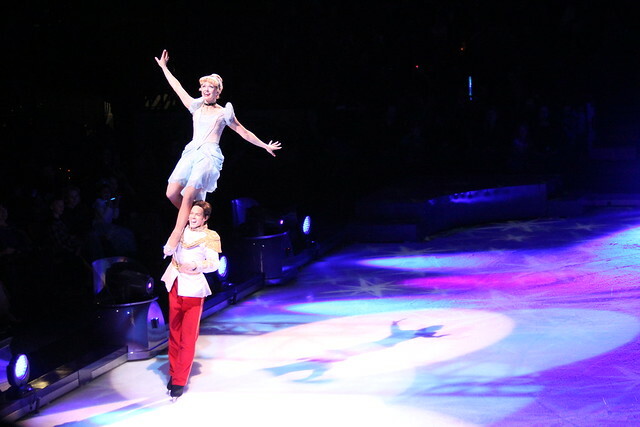 With flawless skating, fun story-telling, high-flying acrobats and pyrotechnics, even 11-year-old Adam was impressed. Dova managed not to cave into the myriad of swirling lights and wands but did insist on cotton candy, which we forked over $12. It came with a crown which she decorated later at home but refused to wear at the event, so her goofy mom had to fill in. 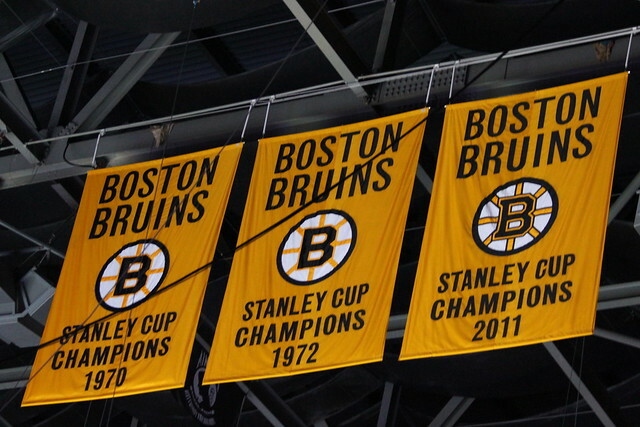 This was our first trip to TD Garden with the kids, so I had to point out the Boston Bruins 2011 Stanley Cup Champions flag in the rafters. 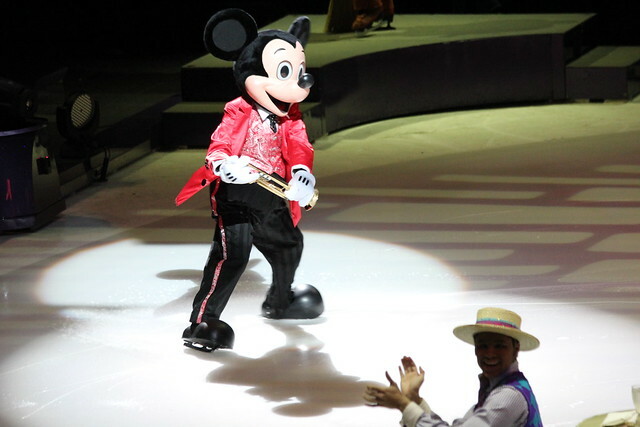 The show was emce'ed by Mickey and Minny Mouse themselves with some help from Donald Duck and Goofy. 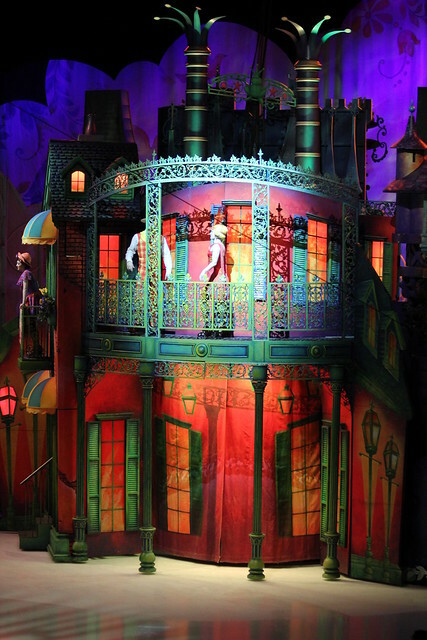 The first story told was The Princess and the Frog, which featured colorful costumes and sets of New Orleans. Tiana met her destiny with her frog-to-be. 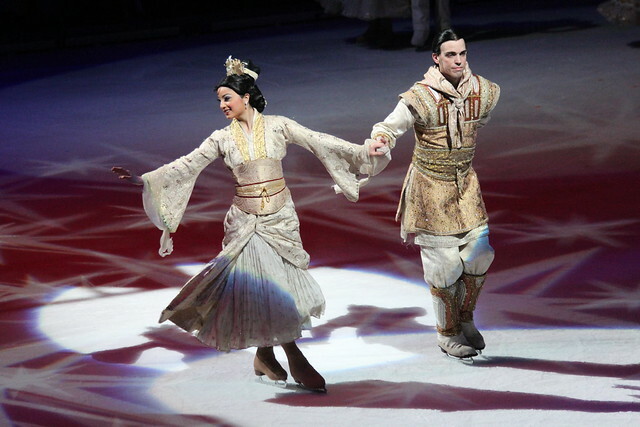 At the bayou, a chorus of birds skated with Tiana and Prince Naveen in their quest to reverse the curse. 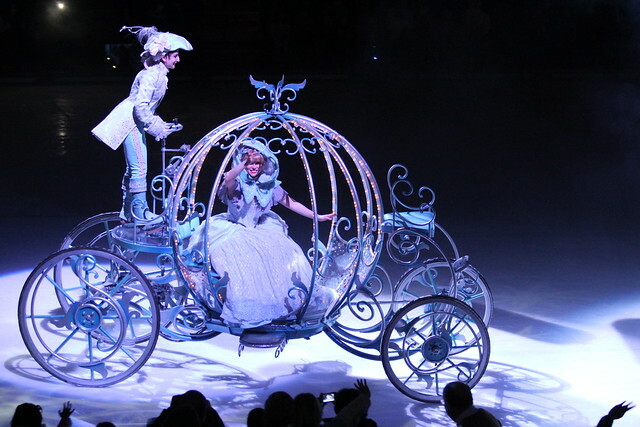 The next story was the time-told Cinderella. Adam and Dova laughed at the bumbling step sisters. The carriage procession was a sight to see! 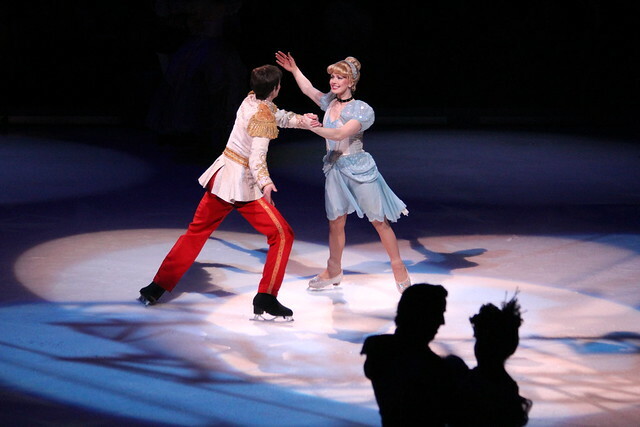 As well as the meeting of Cinderella and the Prince. The clock struck 12 just in time for intermission. 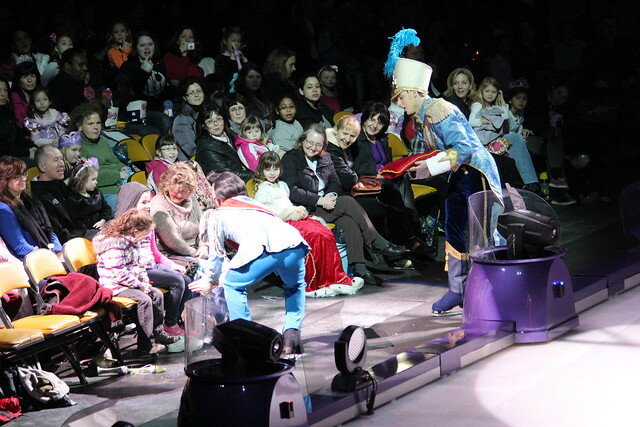 When the Prince went to search for the foot that fit the glass slipper, he also tried members of the audience. 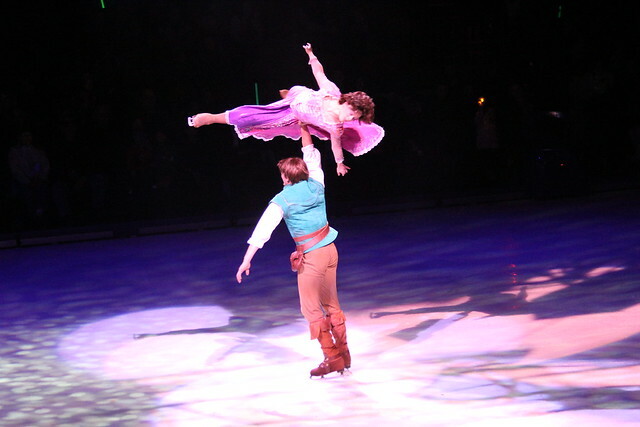 The latest story to be added to the Disney On Ice repertoire is Tangled, now Dova's favorite Disney movie. 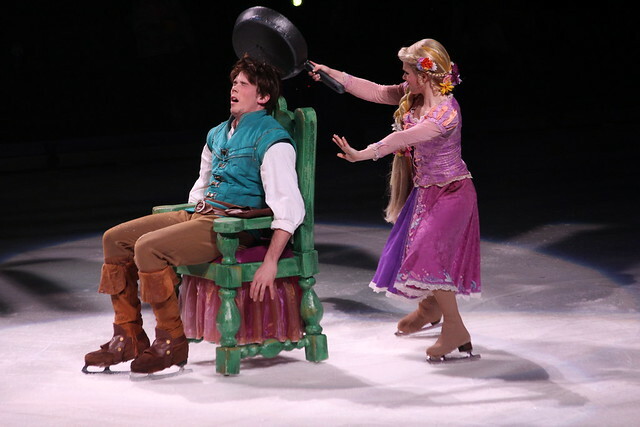 Flynn met Rapunzel under a frying pan (this is Adam's favorite photo of the night). It wasn't long before they were flying separately, then together. 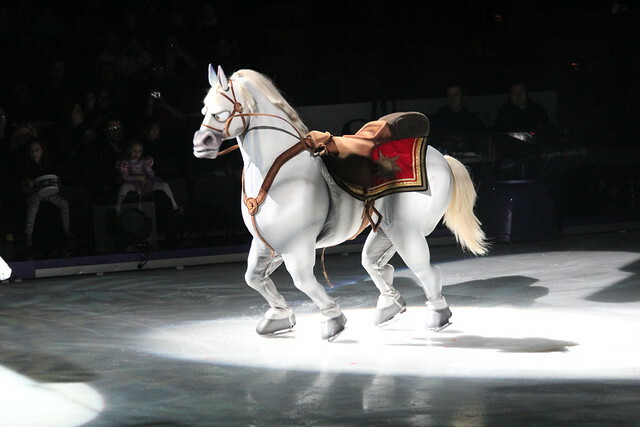 Even Maximus the horse skated gracefully across the ice! 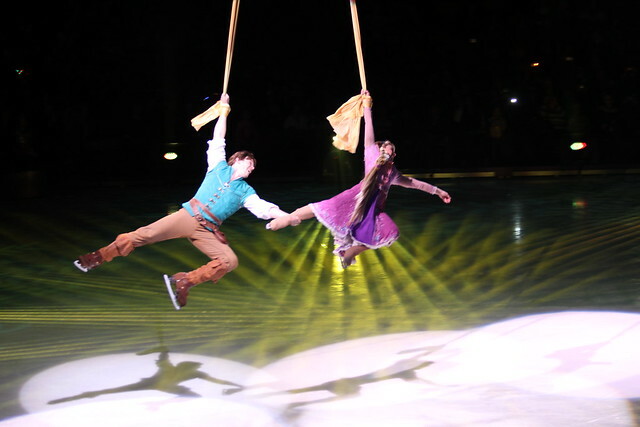 Tangled ended with spectacular pairs skating. The evening ended with a ball featuring all the Disney Princesses in their finest costumes, including my favorte, Mulan. 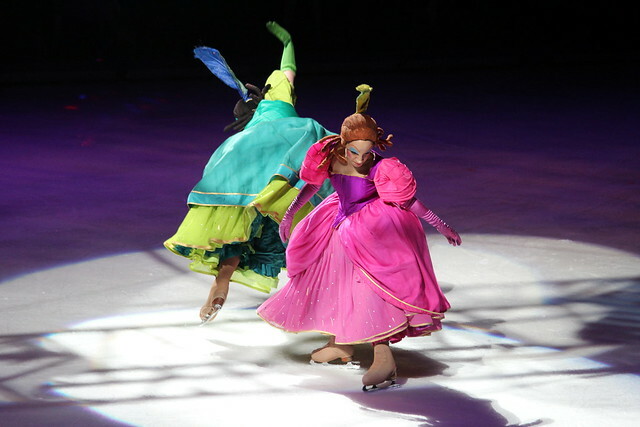 The Disney On Ice Dare To Dream show is definitely Princess heavy, but there are enough "wow" moments for the whole family to enjoy. 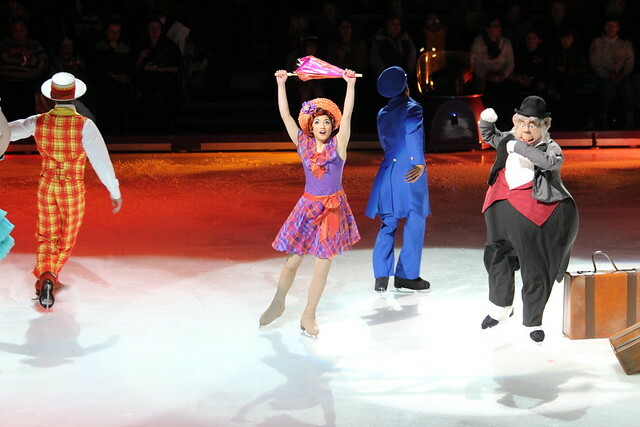 It's not too late to see Disney On Ice presents Dare To Dream, find ticket information here! 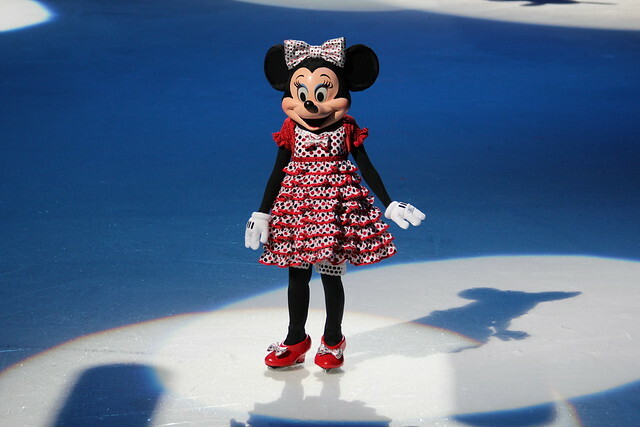 DISNEY ON ICE is a trademark and service mark of Disney. Disney characters ©Disney. All Rights Reserved. Special thanks to Feld Entertainment for providing a family 4 pack of tickets for this review. No other compensation was received. fun for the whole family, indeed! Nice pics! Looks like a wonderful show.